Built around an injected foam core with protective top and bottom sheet layers, the 51 TS is ready for life-long service. The solid cap construction will preserve the edges of the board when laid on its side together with the foil while ashore. Length is important to keep firm directional control and width helps provide some tolerance in feet placement. 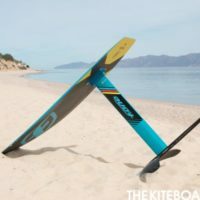 So at 156cm long by 51cm wide, this board has enough of both to offer control and stability to help manage the foil with ease. 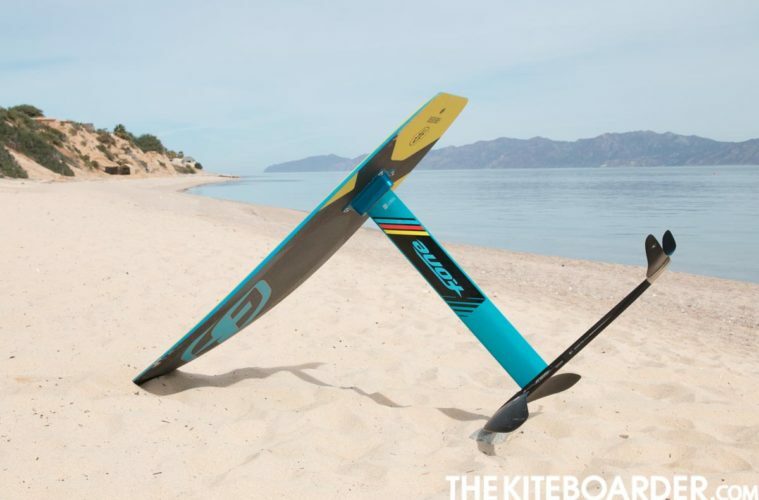 Its slim design allows for easier water-starts as the board sits more stable on its side and results in more inflight control. The bottom V and generous rocker on the nose also make the occasional touch-downs more manageable. 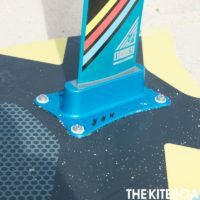 The board comes equipped with multiple attachment points for foot straps and with a bolt-on 6061 anodized aluminum base plate hosting a KF Box. 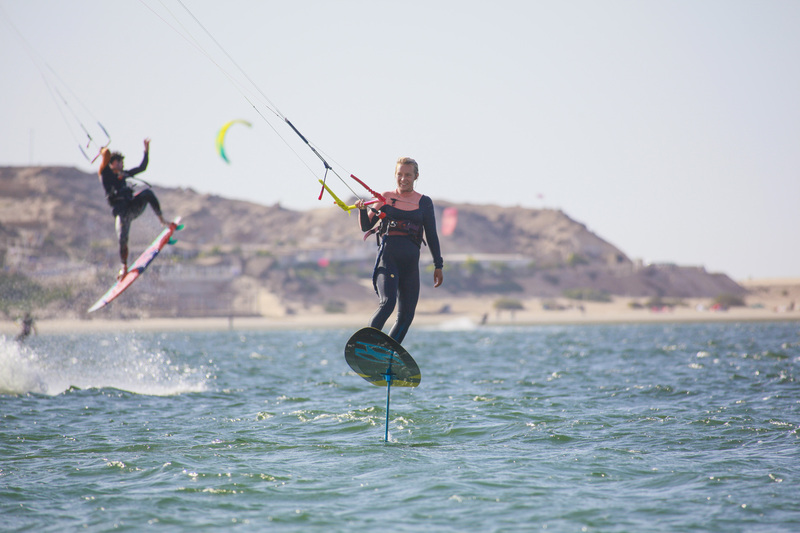 The KF Box allows for an easy assembly and is compatible with many foils on the market. 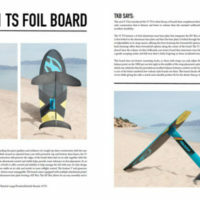 This year F-One introduced the 51 TS to their lineup of boards that compliment their range of hydrofoils. 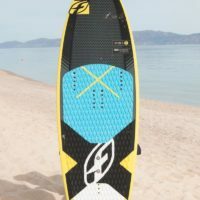 The 51 TS features a sandwich style construction that is thinner and lower in volume than the standard surfboard style construction but in return this board offers excellent durability. 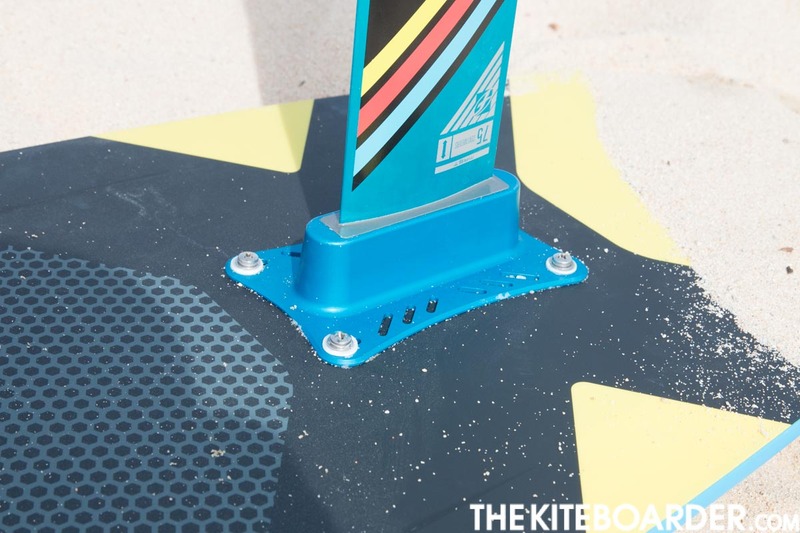 The 51 TS features a 4-bolt alumimum mast base plate that integrates the KF-Box style connection that all F-One masts use. The mast is first bolted to the aluminum base plate and then the base plate is bolted through the board in a fixed position. The 51 TS features a ton of adjustability in its strap inserts, offering the front footstrap five forward/aft options but only in a ducked/windsurfing style stance. 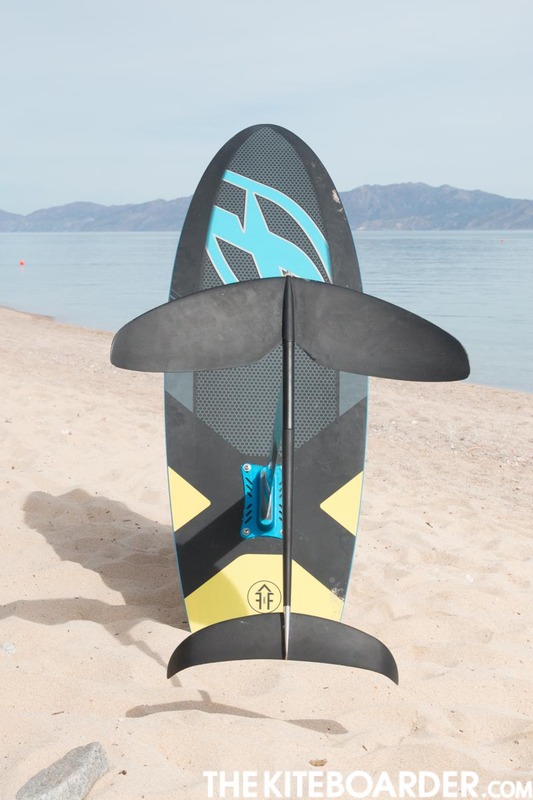 The back footstrap offers three forward/aft options along the center of the board. 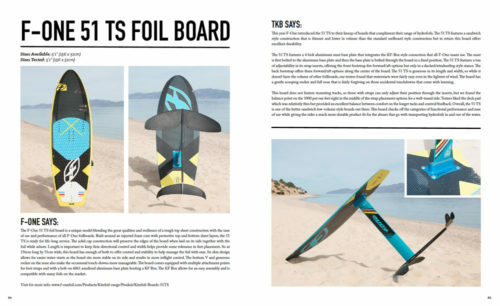 The 51 TS is generous in its length and width, so while it doesn’t have the volume of other foilboards, our testers found that waterstarts were fairly easy even in the lightest of wind. The board has a gentle scooping rocker and full nose that is fairly forgiving on those accidental touchdowns that come with learning. 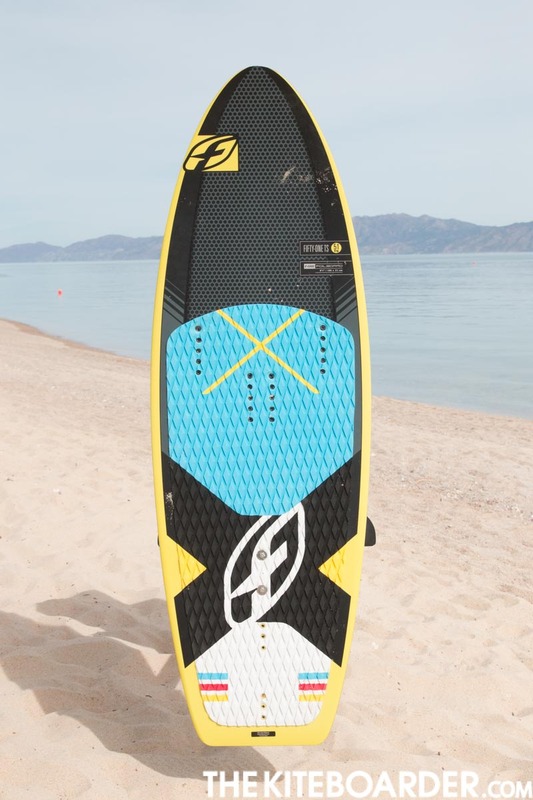 This board does not feature mounting tracks, so those with straps can only adjust their position through the inserts, but we found the balance point on the 1000 put our feet right in the middle of the strap placement options for a well-tuned ride. 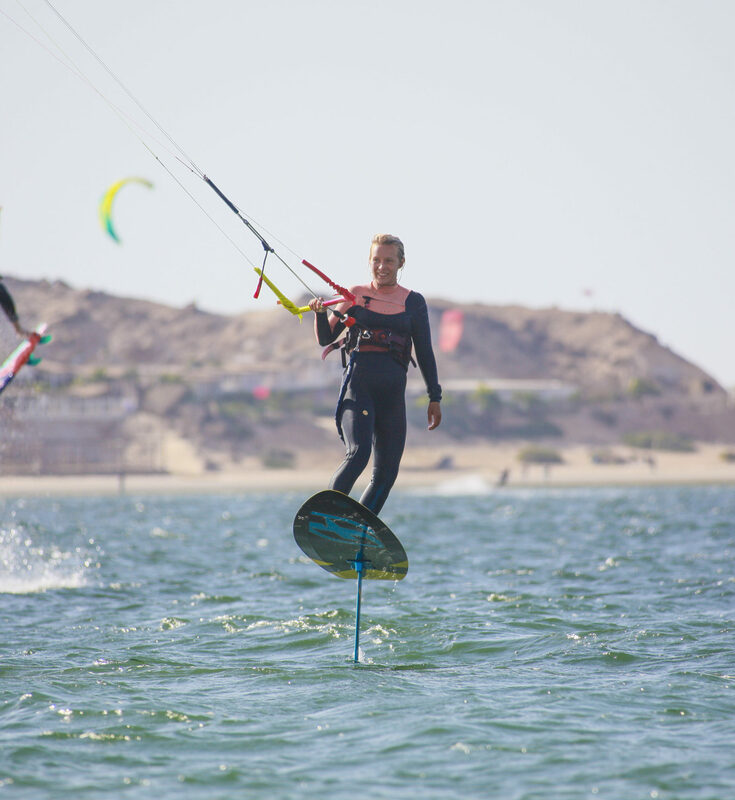 Testers liked the deck pad which was relatively thin but provided an excellent balance between comfort on the longer tacks and control/feedback. Overall, the 51 TS is one of the better sandwich low-volume style boards out there. 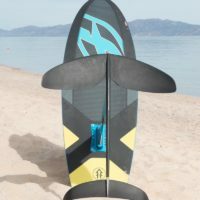 This board checks off the categories of functional performance and ease of use while giving the rider a much more durable product fit for the abuses that go with transporting hydrofoils in and out of the water.